Animal Friends, the largest association in Croatia concerned with animal protection issues and ensuring animal rights, since its inception in 2001, has noted a number of problems which require solutions to improve animal protection in Croatia. As a part of working group at the Ministry of Agriculture, the Association attempted to affect, through comments and suggestions, the adoption of the advanced Act on Animal Protection (the old Act has been in force since 2007). Despite some positive provisions, proposals of the Association were not taken in consideration, and many provisions of the law have not been implemented. There are several shelters in Croatia run by non-profit organizations, and these types of shelters, where there is no killing of animals, are the only true shelters. Unfortunately, the majority of registered shelters for abandoned animals are actually former veterinary-sanitary services (the so-called pounds) or veterinary stations, which do not meet the requirements prescribed by law and by-laws, they operate under dubious circumstances, they don't keep records of their activities and they are not transparent. Often, there is a reasonable suspicion that the dogs are killed shortly after capture, without even waiting for the legally prescribed period of 60 days, without declaring any chance for adoption and without allowing those representatives of associations the supervision of the number of caught and hosted dogs and any provisioned veterinary care. The existence of these shelters facilitatesthe easy concealment of maltreatment towards dogs because they are killed away from the public-eye, and their existence only serves as a way to formally fulfill the legal requirement for the construction of shelters. Although the Animal Protection Act requires that local governments must build shelters, the deadline for this passed long ago, and not one is sanctioned for not having established these shelters as legislation has not prescribed a penalty for violating the law by local government. Also, the local communities, in contrast to the currently positive example of Zagreb, have not established information centers or programs of animal castration, animal adoption and for the education of citizens. An example of violating the law due to the non-establishing of the shelters is the city of Split which together with its suburbs counts almost 300,000 inhabitants. In addition, Split-Dalmatian County is the largest county in the Republic of Croatia and one of the most densely populated, with sixteen cities and 39 municipalities. One must also take into account that during the summer its population increases, at least doubling, owing to tourism. Nevertheless, throughout the whole county, there is not a single shelter for animals. This demonstrates that the implementation of the law has not been seriously understood by local communities, that is; many of them have not yet begun with the implementation of the requirements given by the Animal Protection Act. It occurs very often that the reason given is not the lack of money, but simply the negligence of what cannot be prosecuted. Also, local communities do not realize they are obliged to implement the provisions of the law – that they should treat the abandoned animals in a way guardians treat their own animals, that they are their responsibility, that they should implement programs of castration etc. They often justify themselves with the contract they concluded with some of the shelters, former veterinary-health services, although this does not meet all the requirements and obligations put forward by law. It often happens that the competent ministries give a positive decision to the so- called "shelters" that do not have a satisfactory quarantine and do not meet other conditions, while on the other hand, towns, being local government, put high demands before non-profit animal protection groups in order for them to obtain permission for their actions and for the funding of shelters. A good example is the City of Osijek where the city government signed a contract with a profit organization whose profits have grown exponentially under the contract, whereby the city lost a huge amount of its citizen's money, and very little has been done regarding the animal care and the implementation of the Animal Protection Act. On the other hand, on the territory of the same city there operates a non-profit organization that has received a significantly lower amount of funds from the city and at the same time has done a much better job regarding the care, advertising, animal adoption, education of citizens and for the prevention of abandonment, that is; for less money it has implemented the law on animal protection in a much better and more regulated way, thus helping the whole community. This example clearly shows how veterinary and other organizations conclude multimillion contracts with cities and profit from the suffering of animals. Animal Friends Croatia believe that the Animal Protection Act should make provision for all shelters to be non-profit, thereby making animal welfare of the highest importance. In so doing they would ensure that those programs of care, advertising, hosting and education would be implemented. The significant problem is the lack of information centers for abandoned and lost animals which are required by the Animal Protection Act, and currently only founded by the city of Zagreb. Their job is making information about animals available to the public, to other animal shelters on the territory of Croatia and to the competent authority. However, not a single city in Croatia, or local government, has ever been prosecuted for failing to meet legal obligations of organizing information center. Also, there is no yearly record of the number of adopted dogs or of dogs killed in shelters, as the work of shelters is not sufficiently transparent. Although abandoning animals is punishable by a fine up to 15,000 kunas, the sanctioning of the abandonment of animals has been reduced to a few individual cases. Taking care of and the adoption of animals is often left to citizens or organizations which are not obliged to provide, but nonetheless do it for humane reasons. Abandoned animals die on the streets from hunger, thirst, high and low temperatures, ending up under the wheels of a car or dying from the consequences of abuse by violent individuals and hunters. In addition to the local community not implementing the Law on the protection of animals, there is also a lack of regulation and other by-laws whose enactment is long overdue. There are no specialized inspectors for animal protection, and reports made to veterinary inspections often remain unanswered and without reply, which discourages citizens and doesn't motivate them to report incidents of the abandonment and abuse of animals, only further raising doubts about the effectiveness of the legal system. Although a lot of people have dogs and cats as their pets, treatment towards animals in Croatia is a far-cry from the civilized treatment of animals. Besides the fact that many people don't vaccinate and microchip their dogs, although that is a legal obligation, there is no program of castration - so there are frequent cases of the throwing-out of unwanted animals onto roads where they roam abandoned, exposed to all sorts of dangers, hunger and thirst. Cases of abandonment, negligence, the abuse and killing of dogs is an everyday occurrence to which citizens and animal-protection groups react passionately, however the competent institutions rarely sanction offenders and abusers and in most cases only with a small, symbolic fine. The maximum penalty for torturing and killing animals is one year of prison, or two years if the misdeed has been done for personal gain, but no one has yet served such a sentence. 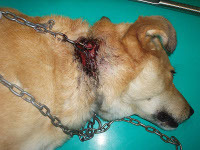 A common occurrence and a common picture of Croatia especially in rural and suburban areas, are dogs held on leashes which carve into their necks, creating painful sores. There is no legal ban on keeping dogs on a leash, only in cases where cities decide on the minimum length of chain, so that community policing and inspection do not respond to those complaints from citizens. 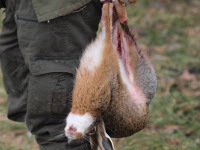 In villages and hunting grounds hunters get away with killing dogs and cats, sometimes even when they are within their own fenced yard, although this is prohibited by law, but they allow themselves a very loose interpretation of the law. The hunting lobby in Croatia is very powerful because there are many hunters amongst high-ranking politicians, so the torture of dogs is tolerated under the pretext that the dog was not on a leash (although the dog's guardian, during the walk, is just a few meters away from the dog). Similar examples abound. A particular problem are the Roma settlements, especially those situated in the Medimurje County, where dogs breed without any control and there is a lack of castration and education programs, far more than in other parts of the Croatia. Dogs, cats and other animals are being sold at markets and fairs, where there is no control through inspection, although this is prohibited by law. Despite the great number of abandoned dogs, by contrast, dogs are being produced/bred in large quantities in kennels. Female dogs die because they become production machines for giving birth. Breeding controls and the controls for the trading of animals is mostly absent. The proof is in the fact that the legislation for the keeping of animals in pet shops has not yet been brought about, although pet shops are springing up all over the place. Dogs in great numbers are being smuggled from Hungary and other countries, but this is very difficult to trace because there is no systematic control. Dog fights, thanks to the interventions of animal protection organizations, have been prohibited by law, although they are still held illegally, and the cases of arrest for the organizers of dog fights and those who participate in betting can be counted on the fingers of one hand in the past ten years. Despite the demands of animal protection organizations, a police-force for animals has not yet been established in Croatia, that is, an inspection force protecting animals which would be specialized in animal protection, effective law-enforcement and the sanctioning of abusers. The legal protection of animals is left to the veterinary and livestock inspectorate, which already acts under other laws and regulations - the protection of animals being a secondary issue for them, a less important activity - and to the police who file the complaints to the Municipal State Attorney's Office. However, in court proceedings abusers generally receive only a symbolic punishment. The biggest problem in the field of protecting animals is the non-enforcement of laws and the insufficient sanctioning of offenders, through those symbolic small penalties that have been prescribed. The Animal Friends Croatia runs The Network Against animal Abandoning, which coordinates the work of other associations and creates a link with local and state institutions. Much more could be done for animals in Croatia through effective good will and the work of state institutions from increased finances. Due to the alleged tradition in several villages of the Dalmatian hinterland, bull fights are still allowed in Croatia, although the Animal Protection Act prohibits the incitement and encouragement of aggression in animals. Despite great efforts of the Animal Friends Croatia pro banning of this primitive practice, legislators and the Ministry of Agriculture have not shown understanding or interest for it's prohibition. Also, ritual slaughter without stunning is still allowed by religious communities. There is a specific and butchering custom for Croatia, that includes slaughtering pigs in backyards, also justified by tradition. The slaughtering is done by the host of the house, or anyone else and lacks control by veterinary inspection as required by law of the animal's stunning, during this custom of animal slaughter. Independently of legal requirements, the most effective way to protect animals from slaughtering is a diet without meat and other food of animal origin, so that the Animal Friends intensively educate and provide information about the benefits of a vegan diet for health, environment, animals and for the reduction of hunger in the world. Furthermore, the Animal Protection Act prohibits breeding animals for their fur, but as in the time required for enacting the Act, the transitional period of 10 years has been declared, therefore the provision will be put into force on January 1, 2017. Public opinion research shows that 73.7% of Croatian citizens support a ban on breeding animals for fur in Croatia and therefore there is no justification for such a long delay of implementing these ethical, civilizing and important provisions. Although the Animal Protection Act requires the establishment of the Ethics Committee and is also composed of the representatives of animal protection organizations who would offer their opinions, upon request, for certain types of experiments, the Committee, having formed in 2007 has not yet begun its work. In Croatia animal experiments are, scandalously, being carried out without any of the supervising controls of civic organizations. 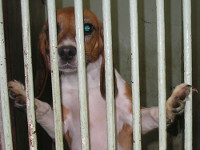 Consider the fact that it was the Friends of Animals which in 2005, in the famous "Beagle Affair", uncovered illegal experiments on dogs at the Veterinary Faculty in Zagreb, which resulted in the release of those dogs and of their adoption. 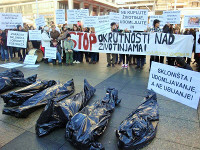 Beside the Ethics Committee the law stipulates the establishment of the Commission for the protection of animals, also composed of representatives of animal protection organizations, whose aim is the active work on the further improvement of legislation related to the protection of animal rights in Croatia. This committee has not yet been established entirely, let alone has it started with its work. The big problem is the keeping of animals in zoos. Beside the fact that individuals benefit by keeping animals in miserable conditions in makeshift zoos in several places in Croatia, the biggest problem is the city zoo in Split. In the Split zoo animals exist in restrictive and inadequate conditions which have been shocking local visitors and tourists for years. Although the city authorities announced the closure of the zoo, visitors continue to view the suffering of animals. The Animal Protection Act is often only a dead letter, which is proven by the fact that the Ministry of Agriculture which places and proposes legislation concerning the protection of animals, regularly does not inform or seek advice from the Animal Friends association, nor other similar associations on changes in the law concerning the protection of animals thus making it impossible for them to propose provisions that are in the domain of their activity and from knowledge of the situation "on the ground". We assert that the ignoring of civic society associations and the lack of dialogue with them and ourselves casts an appalling light on the overall level of animal protection in Croatia, particularly considering the lack of the enforcement of existing laws. In the end, Animals themselves are the biggest losers.